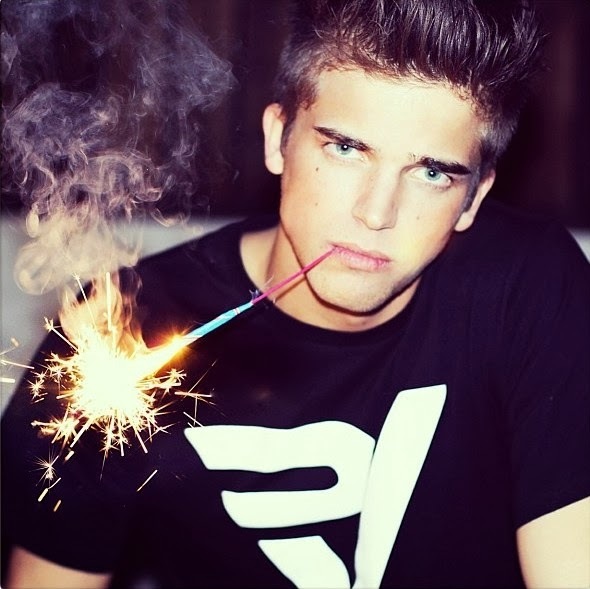 River Viiperi, also known as River Delfin is from Ibiza, Spain. He is 22 years old and was born to a Spanish father and Finnish mother. He is one of the hottest young models in the world, and has been in advertising campaigns for American Eagle, Bershka, Calvin Klein, Armani Exchange and Versace for H&M. He has also appeared on many magazine covers, including GQ, Winq, Surface, Guapo, and Coitus. He is particularly well known for his perfect porcelain skin. River is athletic, his hobbies include include soccer, swimming, and martial arts. He has been seeing Paris Hilton since meeting her in September, 2012 the two are rumored to be engaged.